Young lead actor Harris Dickinson gives a brave, totally riveting performance as a sexually-confused teen. Expect to see a lot more of him in upcoming projects. 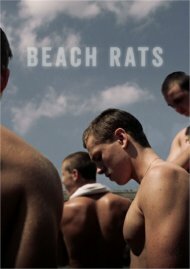 Witht the plethora of hook-ups sites available now Beach Rats offers a unique, stirring insight into what it's like for curious gay and bisexual teens coming of age.